When not making utterly essential powerviolence in Iron Lung, Jon Kortland explores even more noisier realms with noise project Pig Heart Transplant, a fine example of a musical entity challenging the listener. Pig Heart Transplant don’t make for easy listening but often Kortland’s music can be absolutely gripping, just as much as it can be discomfiting. Arguably the split release with the now defunct The Endless Blockade is his finest work under the PHT moniker, though 2007 four-song offering Land of Marred Normalcy deserves a nod too, but second full-length For Mass Consumption sees him morph into a new beast. For Mass Consumption, released on 20 Buck Spin unlike the usual home of Iron Lung Records, is expectedly short at 20 minutes but extremely busy with a lot to take in in its scathing noise and flickers of powerviolence’s juddering rage. In fact, ‘rage’ is probably the most apropos definition to portray For Mass Consumption, but it manifests itself in many different ways. There’s red-eyed fury in spades here but it’s the bitterness and misanthropy of the delivery seeping out of each track, all of which clock in at around 45 seconds each, that makes this an overpowering listen. First song ‘Drug’ makes this all too clear with a hail of vibrating noise and Kortland’s deep grunting vocals laying out his diatribe. At one point there’s the lyric “there is nothing left”, and perhaps it’s rather fitting as the acidic and harsh tones of For Mass Consumption create a sense of utter hopelessness and desolation. Needless to say this a difficult listen and a demanding one that doesn’t so much invite the listener to try and dissect it but rather intimates them and dares them to stick around to see what happens next. But for its molesting and nerve-racking noise, Pig Heart Transplant can be unsettlingly hypnotic too like the slow malaise of ‘Home’ or ‘Half’, only to disturbed by the searing waves a la early Swans that characterise it so well. Approach with caution. 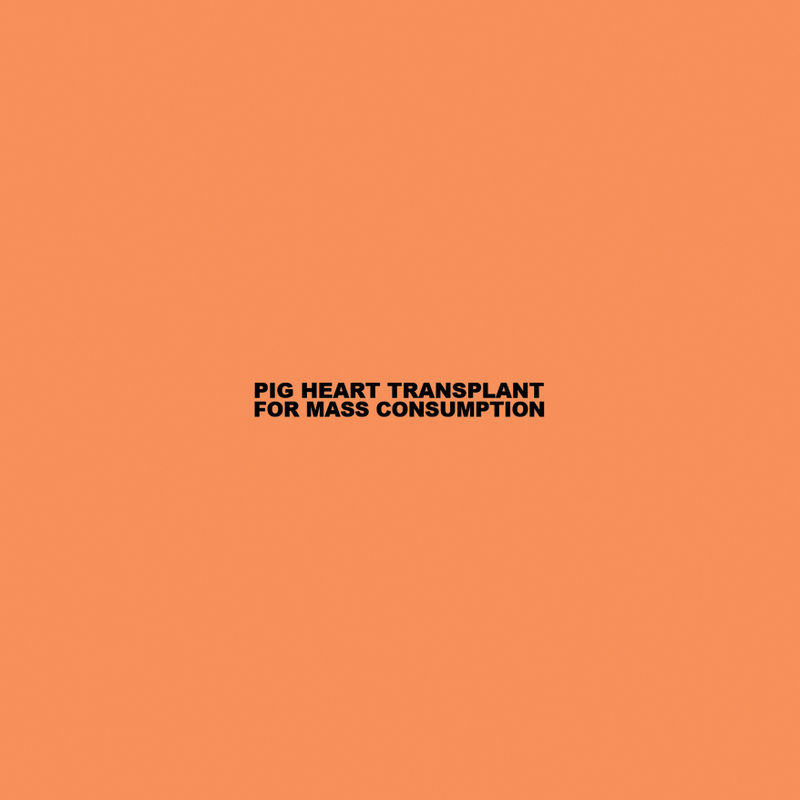 Tags: For Mass Consumption, Pig Heart Transplant. Bookmark the permalink.